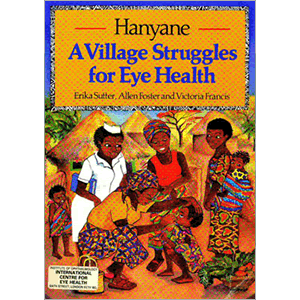 This book deals with primary eye care in the context of community health and development and provides a practical guide to the diagnosis and management of common eye problems. It is aimed at health workers involved in providing primary and secondary eye care and will also be of relevance to those striving to improve the health of people in rural communities. Authors: Sutter E, Francis V, Foster A. Publisher: International Centre for Eye Health. Update June 29th 2013: “Part 2 Common eye problems for village health workers” and “Part 3 Lecture notes on common eye diseases for ophthalmic assistants” are out of date and have been removed.